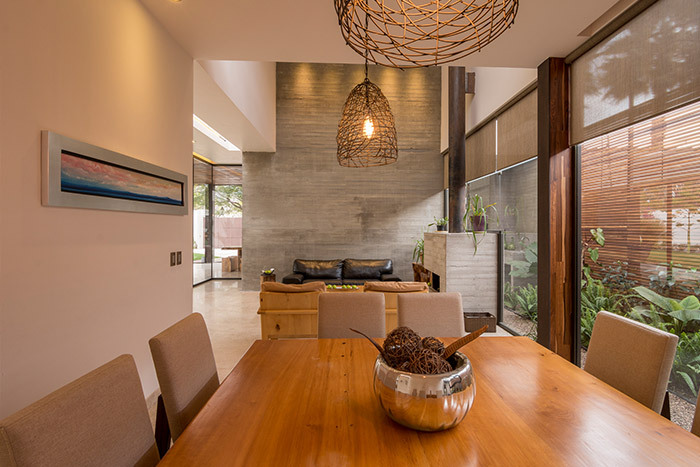 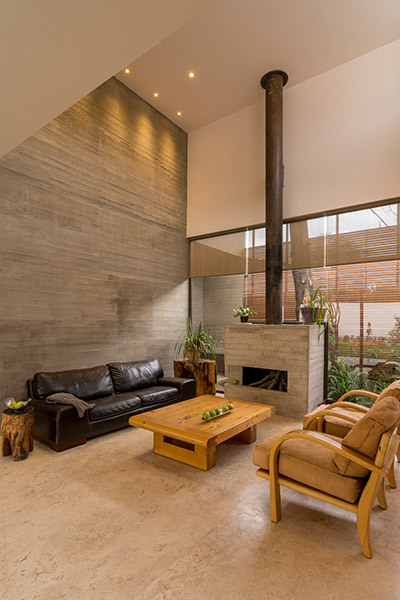 A 1960s dark and cold house located in Querétaro, Mexico was completely transformed by Tania López-Winkler, co-founder of Drawing Agency, into an elegant family home. 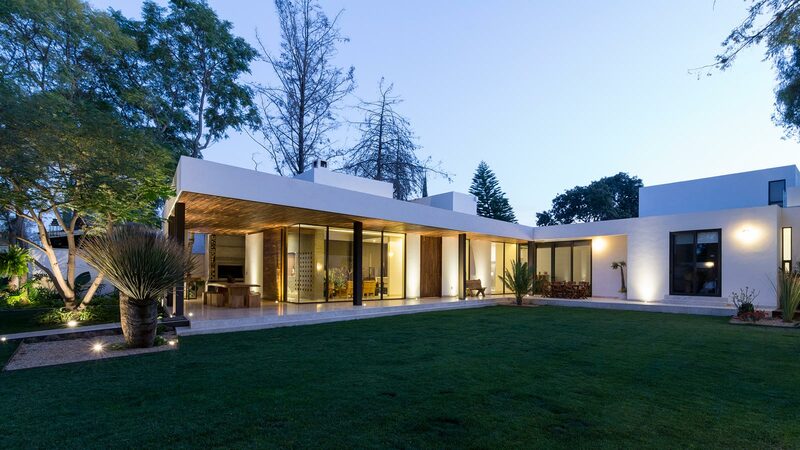 The initial house didn’t take advantage of the landscape and due to its North facing position had sub-standard lighting and heating. 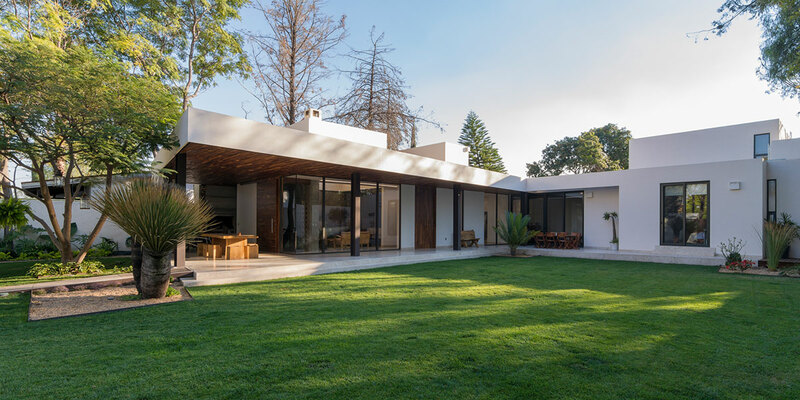 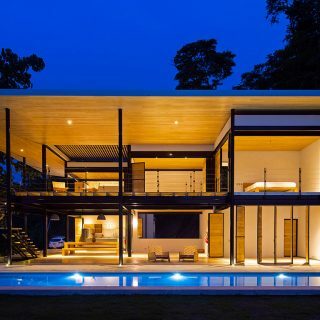 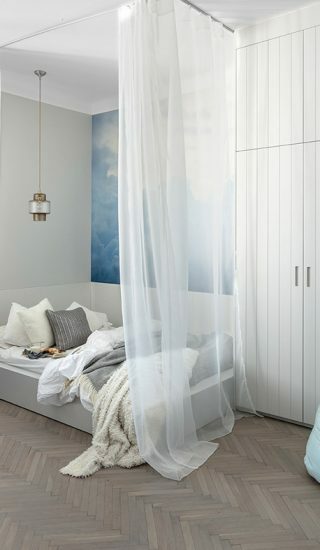 The architect set out to solve these issues through a series of changes to the house’s floor plan and passive ventilation techniques. 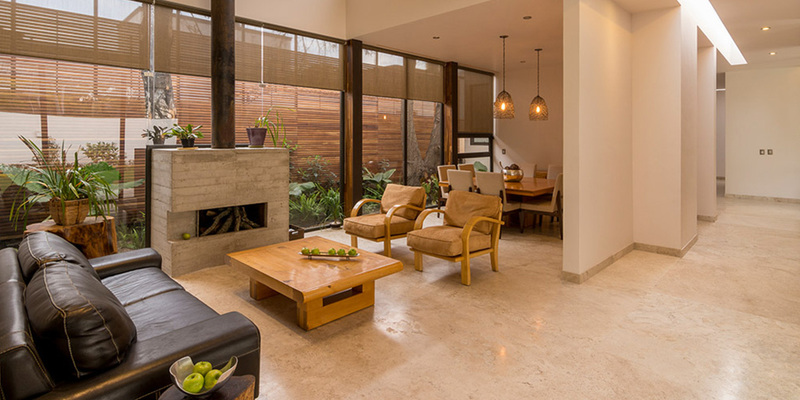 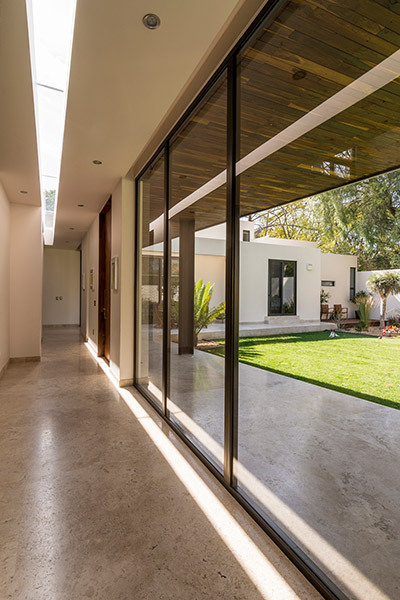 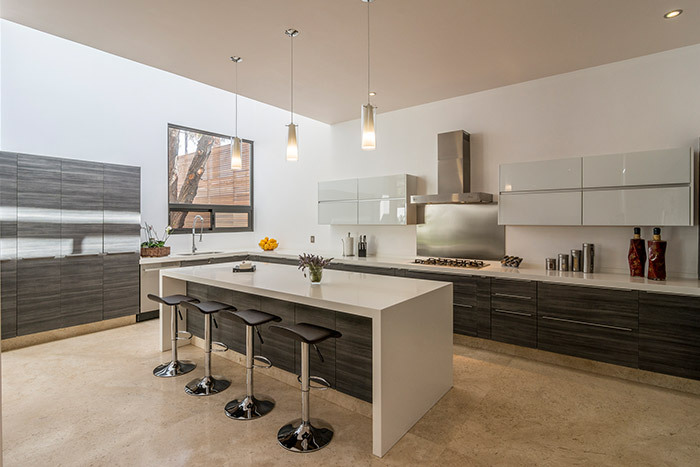 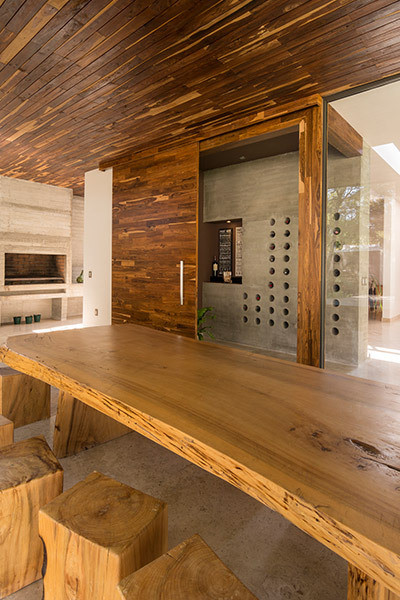 The new open space living plan coupled with floor-to-ceiling glass panels, that replace certain walls, offer plenty of sunlight into the Casa L residence. 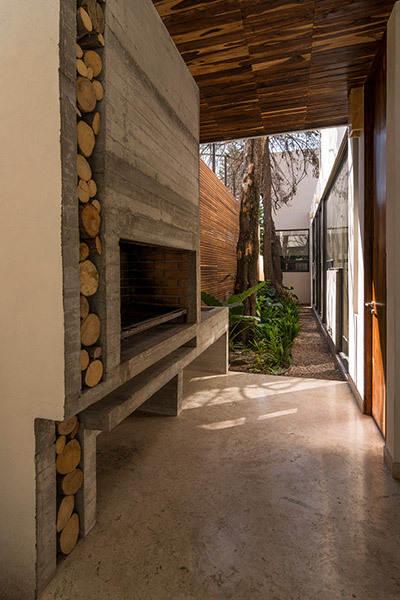 "The first thing we identified was the natural context, and decided to root our scheme respecting the existing trees and introducing them into the interior. 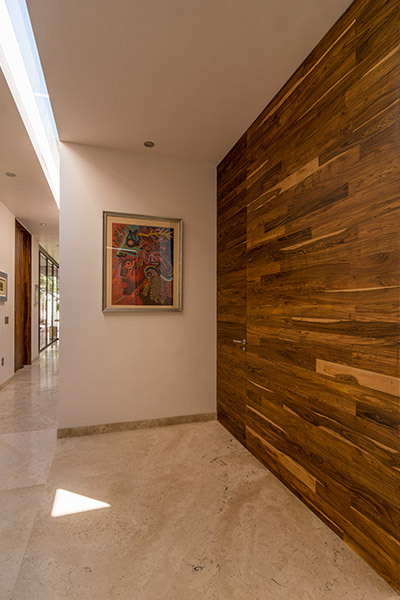 Secondly, given that the existing house was North oriented we inserted strategic South openings and passive ventilation techniques to ensure a constant, comfortable interior temperature without the need of air conditioning in summer or heating in winter"
Throughout the 560 square meters a variety of wood panels and textures are combined with minimalistic furnishings to create an elegant contemporary interior that seems to bring the outdoors in. 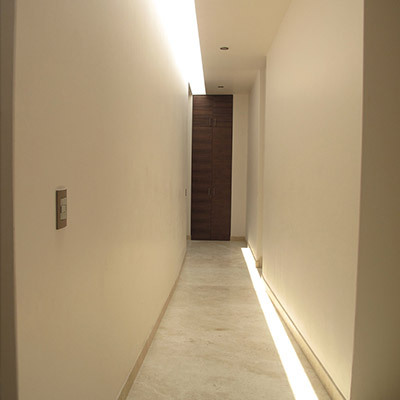 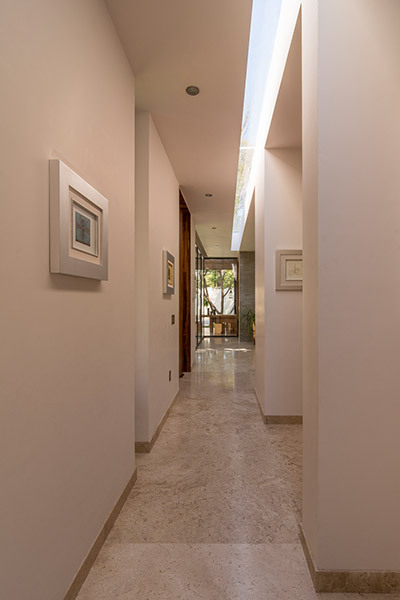 The use of white creates the illusion of space, while modern LED lighting are used to emphasize the numerous artworks present throughout the hallway. 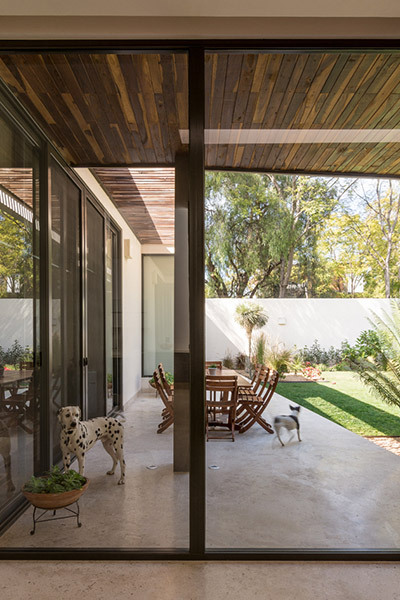 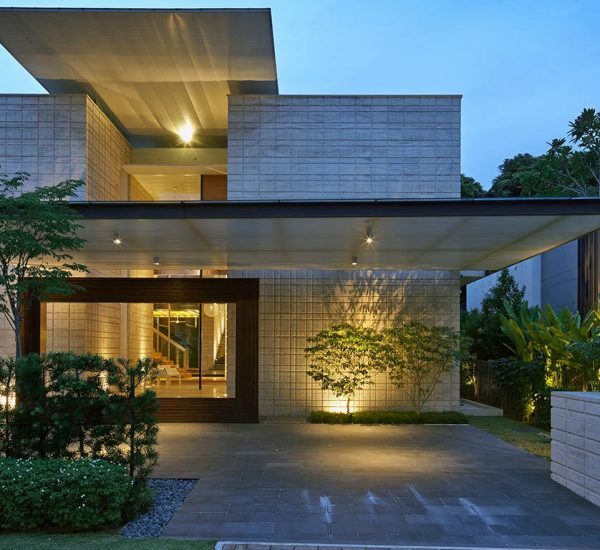 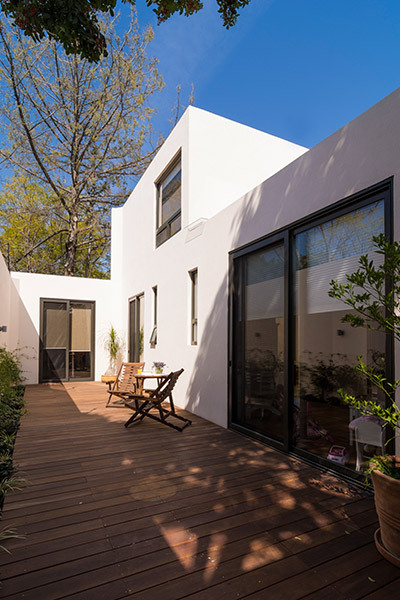 The finished residence is a fluid elegant family home with a spatial configuration from public to intimate delimited by a clever use of light and circulation.